Peak Art was founded in 2014 as a small family business with a new fresh idea in interior design. We want to change the way people are thinking about the oversized wall clocks as only the time telling devices. 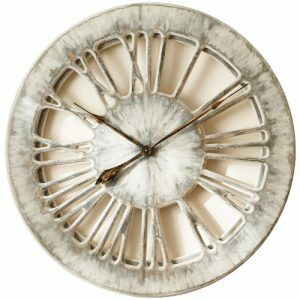 We hope to convince you that our beautiful wall clocks in different shapes and sizes can complement your interior design preference. 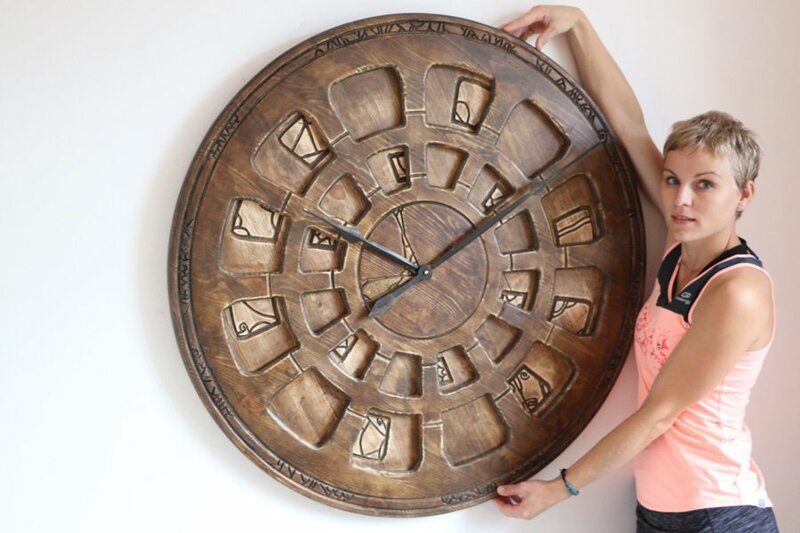 Have you ever thought about using the clocks as wall decorations? Check this video below to see our clock review on TV. The large selection of handmade and hand painted timepieces below show many distinctive styles. 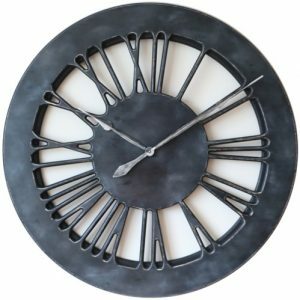 You can see that there are virtually unlimited possibilities when it comes to designing a stunning large wall clock. When you look at other companies on the Internet, all you can find is mass produced items that are lacking character and uniqueness. Those items are only good for showing the time. It is hard to call a chunky piece of metal wall decoration element, isn’t it? Peak Art Clocks on the other hand are made with a greater purpose in mind. Our most remarkable large timepieces can be a focus of attention in your house, restaurant or penthouse apartment. Please look at our selection of extra large wall clocks to choose the one that may suit your needs. When we started our online presence in United Kingdom we never thought about becoming Global so soon. In this day and age the advanced technology allows us to reach customers around the World. 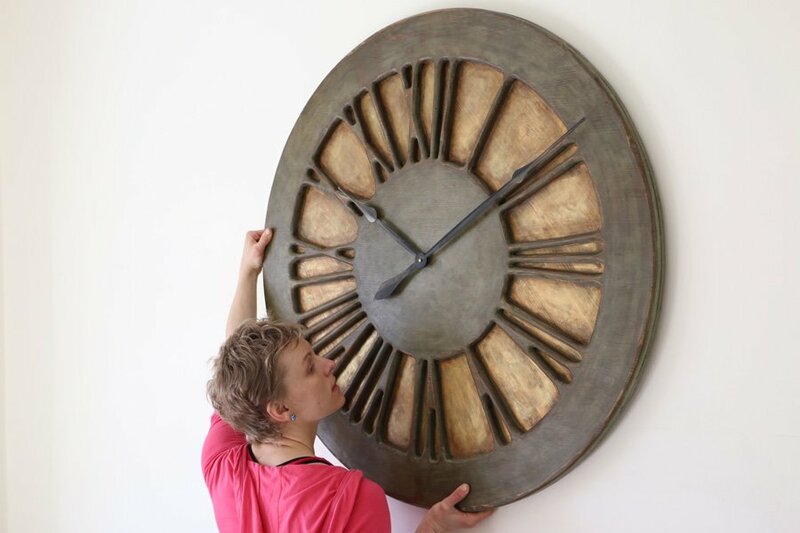 We have shipped our oversized wall clocks to United States, Australia and countries in Europe. Wherever you are, get in touch and become part of something new. Each design you can find in our online shop is globally unique and not available anywhere else on the Internet. Those beautiful large decorative clocks are all handmade and hand painted. We have a large selection of statement pieces in various shapes and sizes. 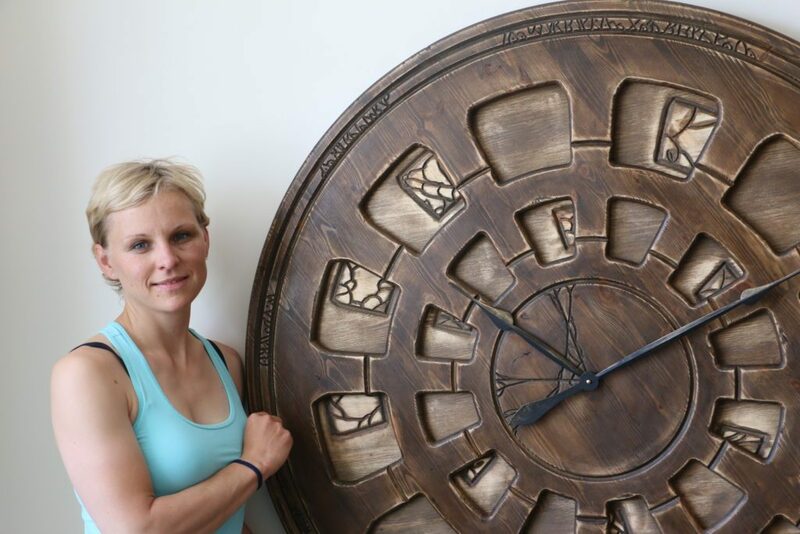 As the first in the World we came up with the large wall clock design where the face is cut out of single piece of wood instead of cheap MDF. You can check our blog and Youtube Channel to find out more about various handmade wall clocks from our collection. The Classic Shabby Chic is one of the first handmade products that we added to our website in 2015. It remains a popular choice today among many other shabby chic clocks. We are Global small family business that is leading this niche market. If you are looking for a fabulous Piece of Wall Art look no further. 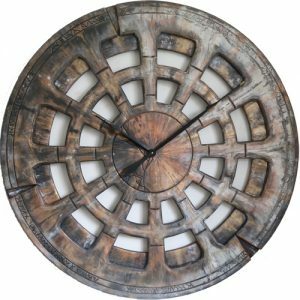 You won’t find any better rustic elements for wall decorations. The wall clocks from Peak Art will make any environment look very special and fill it with the most charismatic charm. Are you trying to fill that big empty space on your wall with something truly unique and three dimensional? 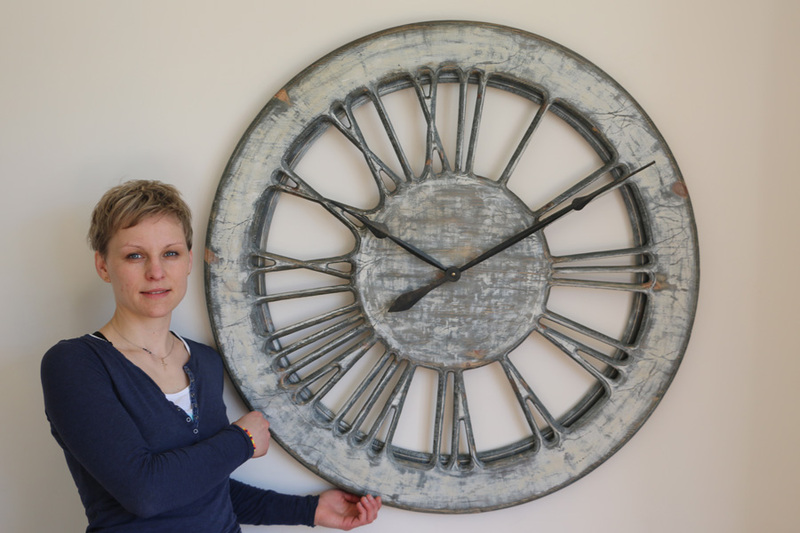 Just check our blog and read about the history of our skeleton wall clocks. They will give you a great topic for so many conversations around the dinner table. When the market is flooded with cheap imports from China we are taking pride in hand crafting each of those amazing timepieces. Many of them display beautiful large Roman Numerals with transparent background making them suitable for various interiors regardless of the wall colour. If you are looking for something different than the traditional Roman Numerals there are many other artistic timepieces available. All of them are very unique and they range from 75 cm (30″) to 120 cm (48″) in diameter. If you can’t find the design that suits your interiors you can give us a call. We can work together to make something suitable for your house. Most of the inspiration come from our customers and different requirements that they may have. Don’t hesitate and call us today or reach us via Facebook Page. One of the most sophisticated oversized wall clocks available in our shop are in industrial style. This trend in Interior Design is all about exposing all that is raw to achieve edgy look. The appearance of those large industrial timepieces seems unfinished but is cohesive and very fashionable. It offers you a great opportunity to mix sleek and modern art with vintage and classic. This new trend in Interior Design is certainly gaining popularity around the World. That is why we are following it by including various elements in overall clock design like metal or copper which you can see in the next paragraph. For the next generation of our Industrial clock projects we are using wood, copper, aluminium with steel brackets and even electronic elements. 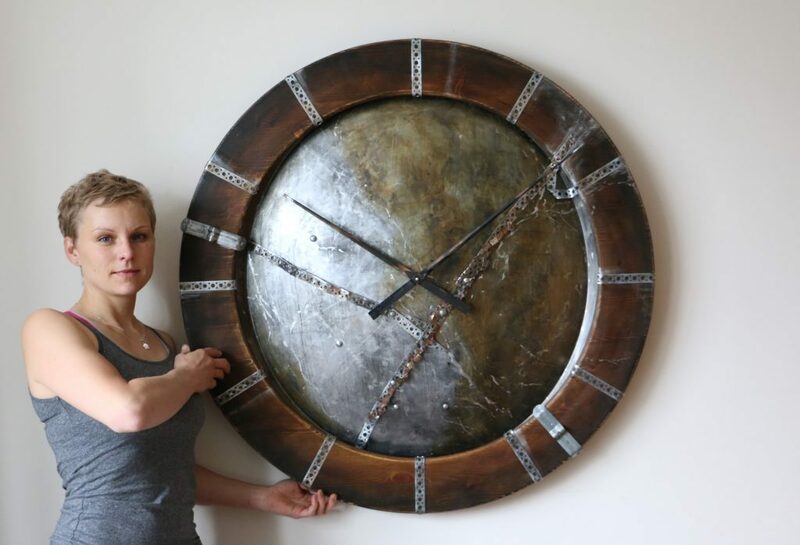 This most striking designer wall clocks are completely different when compared to 95% of our existing products. Our mission is to influence many different trends in interior design, so we wouldn’t be successful without adding more industrial elements. This group of large wall clocks is likely to welcome many new members in the coming months and years. The most popular size we recommend for the Statement Clock is 100 cm (40″). We also appreciate that many of our customers may have different requirement and available wall space. 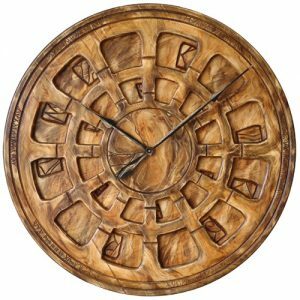 If you visit our online shop and select any product, you will have multiple choices of clock diameter. The majority of our timepieces are available in three different sizes. Those options are 75 cm (30″), 100 cm (40″), 120 cm (48″). Regardless of the size you can be confident that all those clocks will become the most remarkable wall decorations. 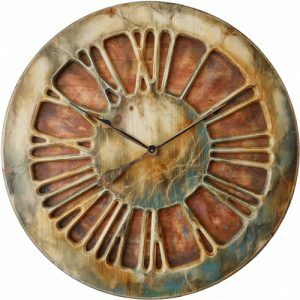 We hope that based on what you have seen on our website convinced you that large wall clocks can be the most amazing elements of wall decor. Unlike many other companies undercutting each other on various sales and promotions we don’t often do that. We don’t take part in massive sales, Black Friday promotions etc. This is simply because we don’t run factories and our main goal is to have unique product that nobody else can offer. The popular promotions aim to sell as many products as possible when we focus on each individual customer requirements. On the other hand many of you like discounts and we appreciate this too. 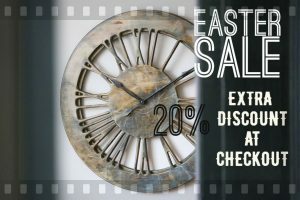 We work with various interior designers and bloggers and often offer discounted prices for people that help promote our clocks. Therefore, if you are interior designer, blogger, have a website or even just a Facebook account and like our products please get in touch. 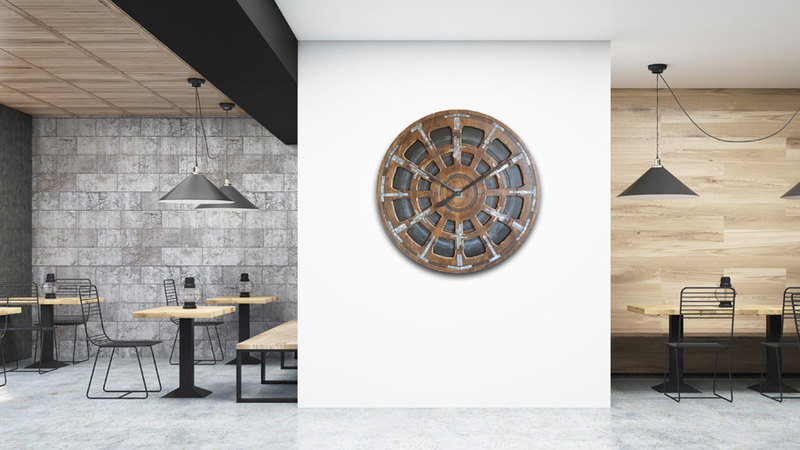 If you can help us spread the word about Peak Art Clocks for wall decorations, we can certainly reward you for that.